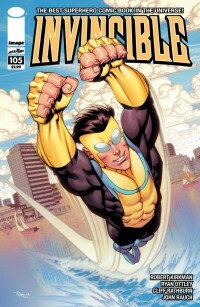 Invincible #105 starts out in the middle of the action. Rex, manning the control center for the Guardians of the Globe orbiting space base, is shouting into his headset, commanding drones. 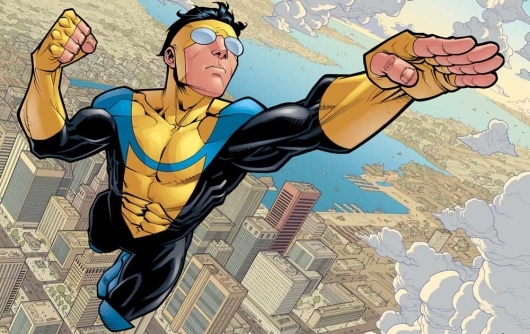 While down on Earth, Invincible is casually chatting on the phone while stopping a bank robbery. 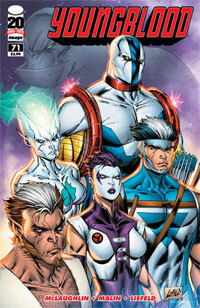 All the while, on the Moon, Thragg is sentenced to exile. 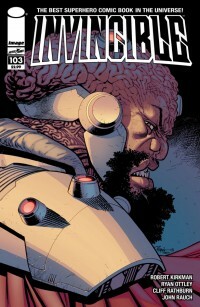 Kirkman’s writing in this particular issue is great, flows well, and is easy to understand, even without having read previous issues. 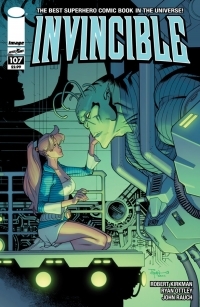 Dealing with the issues of lost power and adjusting to change, the focus of this issue is more on the characters trying to deal with their fears and feelings of being overwhelmed. 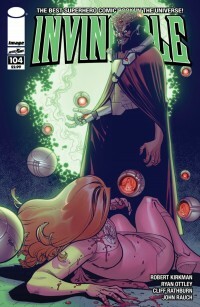 The Deal of the Day over at Things From Another World today is Image’s Invincible Vol. 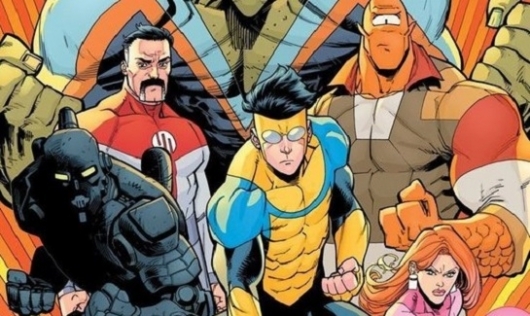 16: Family Ties trade paperback by Robert Kirkman and Ryan Ottley for only $11.00 (that’s 70% off of the regular price of $16.99). 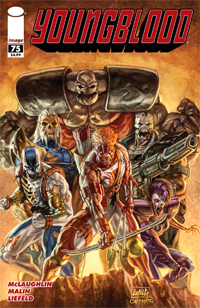 Note – The sale at TFAW is valid only for today, Friday, May 11, 2012, til 11:59PM PST while supplies last (and there’s a limited supply, so it will sell out, so hurry!). Visit the TFAW’s Deal of the Day page to view the hours left in the sale as well as quantities left on the item. 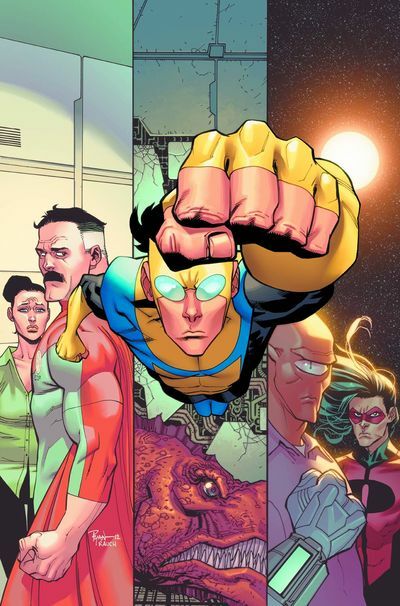 If you’ve never read Invincible from Robert Kirkman (creator of Walking Dead) and you want to start at the beginning, you can get Invincible (Book 1): Family Matters for $10.41.